For decades, the traditional 40-hour per week work schedule has involved working five eight-hour days per week, often Monday through Friday. However, in recent years, many companies have realized the benefits of offering alternative work schedules for employees. Such benefits include improved job satisfaction, employee morale, additional opportunities for public service, reduced time off work for medical appointments and child-related obligations, and more. Employees have many reasons for preferring an alternative schedule to the traditional nine-to-five. A popular schedule is working four 10-hour days in a week and having a consistent three-day weekend. However, California overtime laws traditionally required employers to pay overtime rates – time-and-a-half regular hourly pay – for any hours worked over eight in a day. 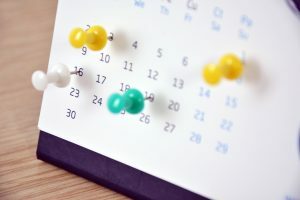 In recent years, the legislature adapted California law to address new employment trends to allow and even encourage employers to offer alternative workweek schedules (AWWS) to employees without paying overtime rates. Employers should be careful to comply with all relevant laws when offering an AWWS to employees in order to prevent liability. If you are considering offering an AWWS, it is always wise to first consult with an experienced employment and business attorney.